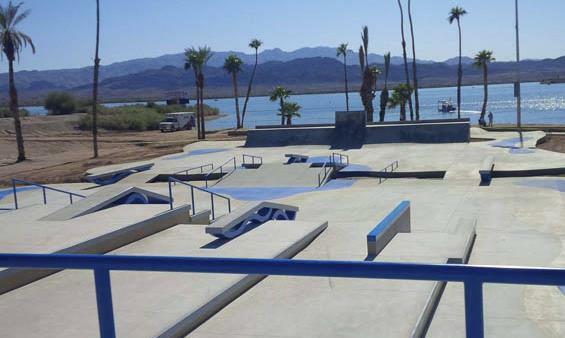 Lake Havasu City is set to go off for the grand opening of the second SLS Certified Skate Plaza. This Saturday, locals and visitors will get a once-in-a-lifetime chance to session an official SLS course alongside some of the world's best skaters, including Shane O'Neill, Chaz Ortiz, and Manny Santiago, as well as SLS Founder Rob Dyrdek. Click for more photos. This is the largest skatepark in the state of Arizona. WHERE: Rotary Community Park, 1400 Smoketree Ave N., Lake Havasu City, Ariz. WHEN: 10 a.m., October 19, 2013; Fall Fun Fair continues until 8 p.m.